Windows 10 has a reputation for spying on its users. So much so, that a number of privacy-based third-party programs (such as Ashampoo AntiSpy and Spybot Anti-Beacon) have sprung up to disable Windows 10’s numerous tracking features. In September 2015, Microsoft's Terry Myerson defended how the company has handled privacy in Windows 10, saying in a blog post that "Trust is a core pillar of our More Personal Computing vision, and we know we have to earn it". Today, in a new blog post, he says much the same thing, but announces two new ways for users to take back control of their privacy. Does it go far enough? First, today we’re launching a new web-based privacy dashboard so you can see and control your activity data from Microsoft including location, search, browsing, and Cortana Notebook data across multiple Microsoft services. Second, we’re introducing in Windows 10 a new privacy set up experience, simplifying Diagnostic data levels and further reducing the data collected at the Basic level. These Windows 10 changes are being introduced in a Windows Insider build soon for feedback first and will be rolled out to everyone when the Windows 10 Creators Update becomes available. The privacy dashboard, which you can visit now, reiterates Microsoft's commitment to your privacy, and reveals what information the software giant collects about you. From this page you can view and clear your browsing history. 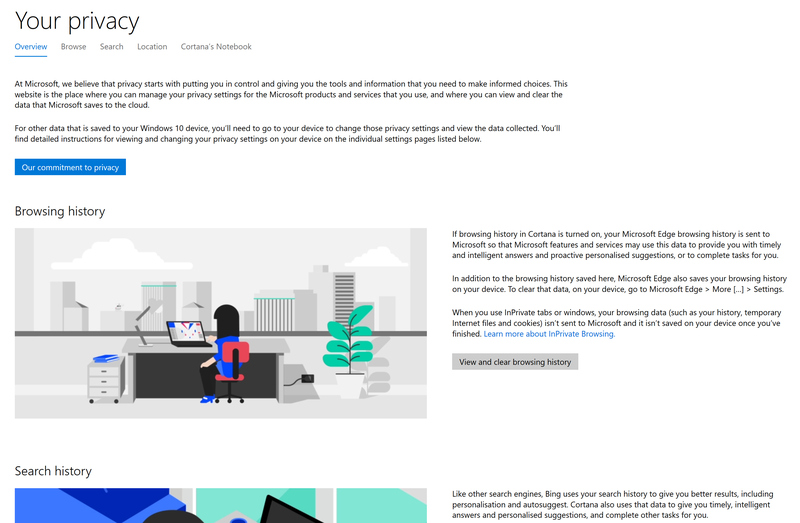 If this is something you’ve never really felt compelled to do before, Microsoft’s statement that "If browsing history in Cortana is turned on, your Microsoft Edge browsing history is sent to Microsoft so that Microsoft features and services may use this data to provide you with timely and intelligent answers and proactive personalized suggestions, or to complete tasks for you", might have you rethinking things. You can view and clear Bing and Cortana search history from the dashboard, as well as location activity, and edit Cortana and/or Microsoft Health data, and access other privacy settings. While the amount of personal data collected in Windows 10 might concern and surprise you, it’s not really any different to Google's creepy My Activity page which reveals how much the search giant knows about you (a staggering amount), and at least you now have an easy way of viewing and clearing this data. 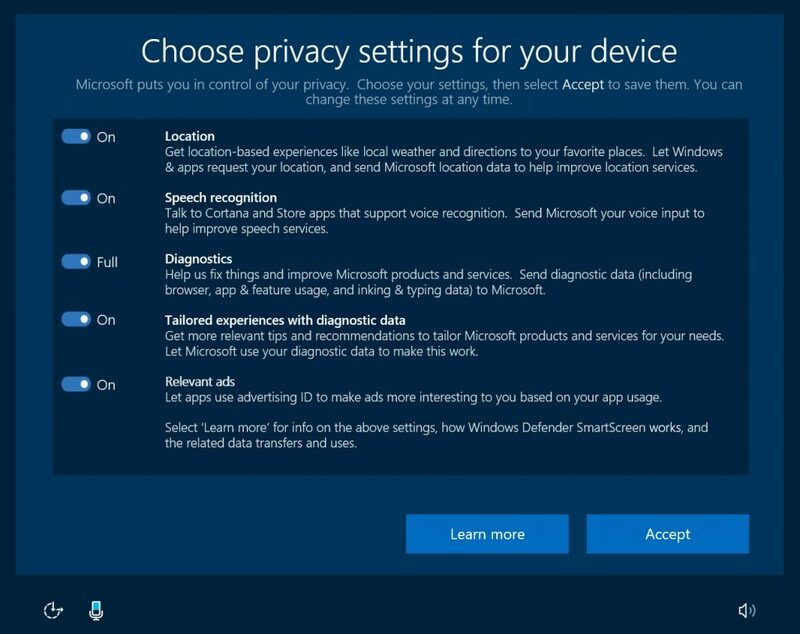 As for the forthcoming "new privacy set up experience" in Windows 10 Creators Update, Microsoft says it will replace the current Express Settings option you see when installing or upgrading Windows 10, and explain clearly all of the various important settings and make you choose which to allow before continuing. You can see how this will work in the screenshot below. 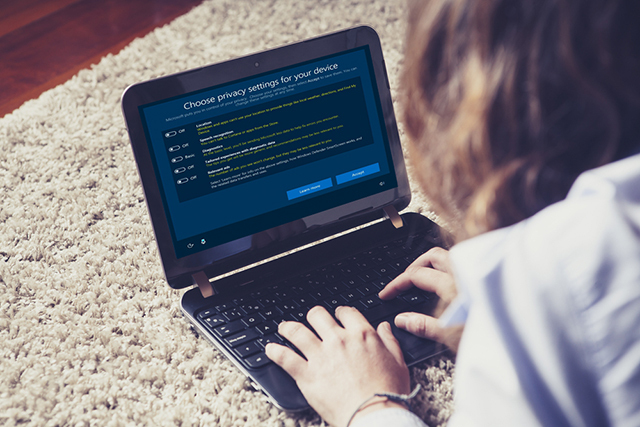 Existing Windows 10 users will receive notifications prompting them to choose their privacy settings. Diagnostic data collection will be simplified in the Creators Update, going from three levels to just two -- Basic and Full. The amount of data collected in the former will be reduced at the same time, to just data that Microsoft considers vital to Windows' smooth running. When it comes to your privacy, we strive to make choices easy to understand while also providing clear visibility and control over your data. We believe finding the right balance is one of our most important tasks in delivering great personalized experiences that you love and trust. Today, we take another step in our journey to make changes that address your feedback and help make your experience with Windows and other Microsoft products better and richer. We want you to be informed about and in control of your data, which is why we’re working hard on these settings and controls. And regardless of your data collection choices, we will not use the contents of your email, chat, files, or pictures to target ads to you. Personally, I welcome these changes. Do they go far enough? It’s hard to say for certain until we get a good look at them in a forthcoming Insider Preview build, but they’re definitely a massive step in the right direction. What’s your view?